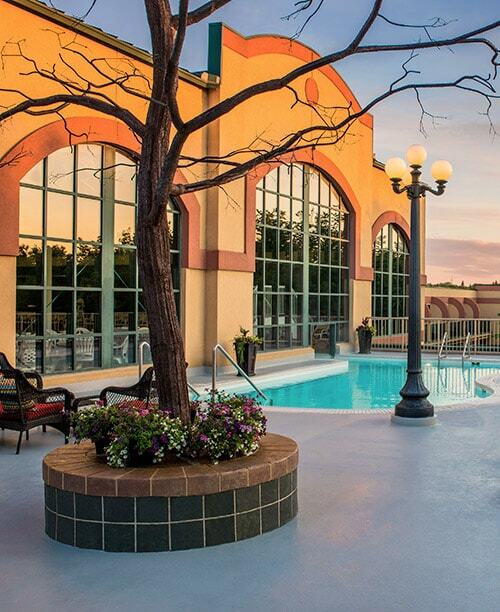 Located in historic downtown Moose Jaw, Temple Gardens Hotel & Spa offers the ultimate Saskatchewan escape. Give your next conference or corporate retreat a fresh injection of excitement by choosing Temple Gardens Hotel & Spa in downtown Moose Jaw, the ideal setting for corporate meetings, conferences, weddings and events from 14 to 220 people. Come for a soak in Canada’s largest therapeutic geothermal mineral water pool and let the naturally warm waters in this indoor/outdoor rooftop retreat soothe your weary muscles and sore joints. 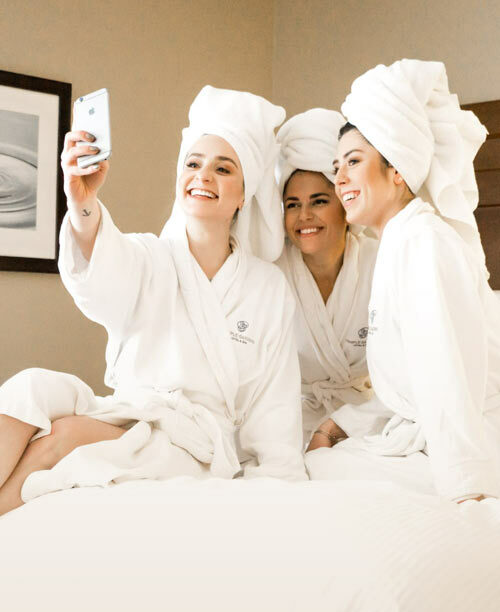 World-renowned geothermal mineral pools, spacious rooms, and more amenities than any other hotel in Moose Jaw. 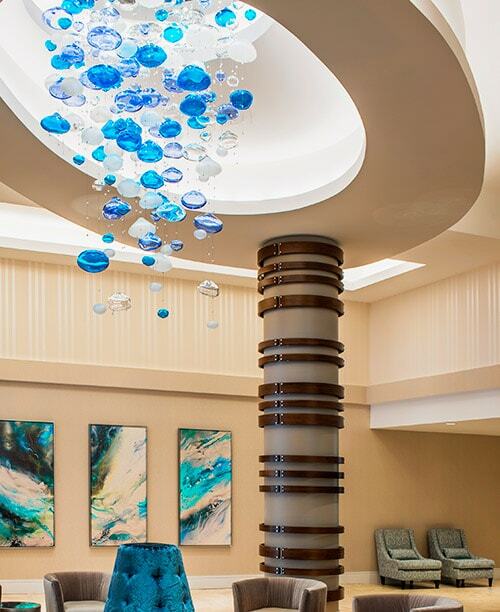 De-stress with our Sun Tree Spa’s full range of healing spa treatments. Enjoy therapeutic benefits as you float in the indoor/outdoor geothermal mineral pools in any season. Plan a meeting, wedding or special event for up to 220 people in a great downtown Moose Jaw location. After an afternoon spent poolside, stroll back to your room in our signature bathrobe, then enjoy fine dining on site or have a drink in the lounge before calling it a night. Retreat to one of our 181 luxuriously appointed, extra-spacious rooms or suites where you’ll find crisp, inviting linens on a sumptuous bed and a range of premium HD entertainment channels – everything you need to relax. You’ll be surprised by what you don’t know about downtown Moose Jaw! Although you can enter Casino Moose Jaw from the Temple Gardens Hotel & Spa without ever stepping outside, you’ll want to explore the many shops, restaurants, museums and galleries nearby. Enjoy a stroll in the large city park across the street and be sure to treat yourself to a tour of the popular Tunnels of Moose Jaw attraction - just a five-minute walk away. Redeem a gift card for the Temple Gardens Hotel & Spa… or gift one!